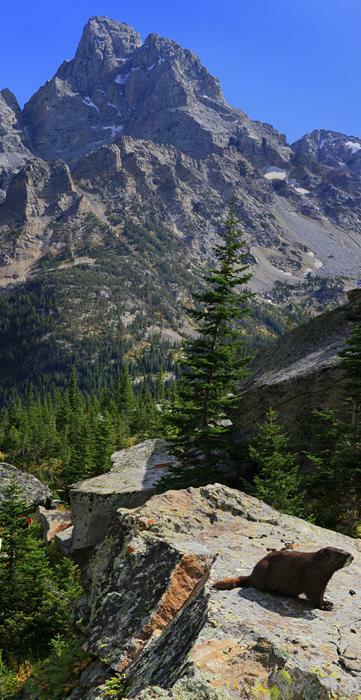 A yellow-bellied marmot in upper Cascade Canyon, with the Grand Teton behind. Both the marmot and Grand Teton are in sharp focus. Photo © copyright by Johnathan Ampersand Esper.